We ship all orders via United States Postal Service (USPS) Priority Mail. Orders to most destinations in the continental US arrive within 2 to 4 BUSINESS days. Shipping charges are calculated automatically in our online store. Each product is packaged securely in a USPS Priority shipping box to ensure that the kit arrives at your door in perfect condition. Limited lifetime warranty on the LED and light assembly, 1 year on parts and accessories to the light such as batteries, charger, mounts, wired tactical tail caps. Within the 1st year we will repair or replace any item free of charge due to product malfunction and/or defect that is not due to customer abuse or carelessness. 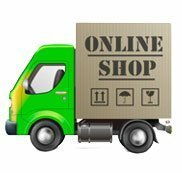 After 1 year we will still repair any item that CAN be repaired for a nominal fee of $20.00 to cover labor and return shipping excluding batteries since they cannot be repaired. If item cannot be repaired the $20.00 fee can be used towards the cost for the replacement part. All warranty repairs will require proof of purchase (packing slip, PayPal statement, Ebay point-of-purchase statement) including purchase date. Download the NightSnipe Light Instructions and Troubleshooting tips here. All orders are processed securely using either Authorize.net or PayPal. You can use a PayPal account to complete your order or simply process the order with your credit card via Authorize.net. You do not need a PayPal account to complete your order. We assure you that your contact, credit card, or any other information you provide us with during ordering will not be distributed to any third party companies.